Maximizing Progress: Flower Towers ~ FT on Forests in the Urban Sky! Flower Towers ~ FT on Forests in the Urban Sky! "Architects are tackling the problems of the concrete jungle with ambitious schemes using green technology to grow forests in the sky. [...] The most exciting new tower in the world is under construction in Milan. At 27 storeys high, Bosco Verticale is a splinter beside the Shard, the 87-storey skyscraper under construction in London. 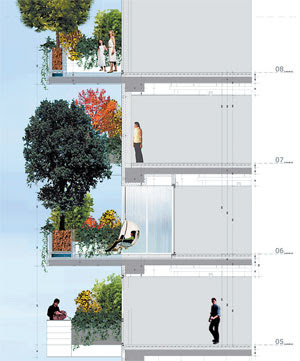 What sets the Milan tower apart is that it will be the world’s first vertical forest, with each apartment having a balcony planted with trees. In summer, oaks and amelanchiers will shade the windows and filter the city’s dust; in winter, sunlight will shrine through the bare branches. 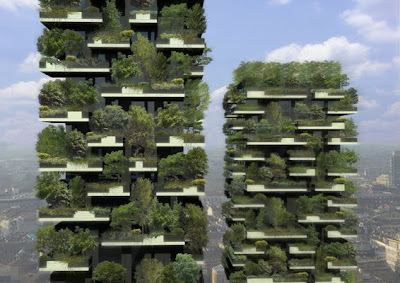 Bosco Verticale is the vision of Stefano Boeri..."
Fantastic stuff! Read the rest of the FT article and check out the Garden Museum's From Garden City to Green City exhibition link too! Blockchain is great, but it can’t solve everything. Take conflict minerals. Futuremaps ~ Apple's C3 Acquisition Is Siri-ous! PETMAN ~ Boston Dynamics Testable Anthrobot! Supersized Shanghai ~ Ceaseless Urban Giant! Future Amsterdam ~ New Construction Continues! Throaty ~ Endoscope of Nate Ball Beatboxing! Brilliant Bogotá ~ Colombia's Transit Innovator! World on Fire ~ NASA Conflagration Timelapse! Smarthistory ~ More Free World-Class Education! Ultimate Simulator ~ 360-degree + Walk Tactile! Quantum Levitation ~ Cool & Entrapping Physics! Hatsune Miku ~ J-Pop V-Star's "World is Mine"
Safe Cycling ~ Witness Dutch 8 to 80 Year Olds! CineSkates Showdown ~ Cinetics Video Contest! 1K Pops! ~ Cobra Weave Exploding Stick Bomb! Utrecht Centraal ~ Rush Hour in NL Transit Hub! Solar Burps ~ Imaging Stellar Plasma Fountains! Roofhouse ~ Urban Residences Plopped Up Top! Robo Pool ~ Queen's RCVLab Does Shot Calc's! New London Bus ~ More Iconic Design Promo! Inhabitat Greenery ~ Dose of Delightful Designs! Smashing Parade ~ My Kind of Guinness Record!